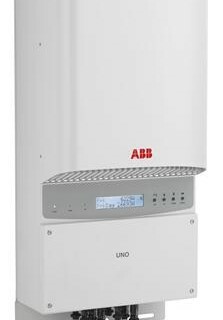 Designed for residential and small commercial PV installations, this inverter fills a specific niche in the product line to cater for those installations producing between 5 kW and 25 kW. This inverter has all the usual benefits, including dual input section to process two strings with independent MPPT, high speed and precise MPPT algorithm for real-time power tracking and energy harvesting, as well as transformerless operation for high performance efficiencies of up to 97%. The wide input voltage range makes the inverter suitable to low power installations with reduced string size. This outdoor inverter has been designed as a completely sealed unit to withstand the harshest environmental conditions.